We are a leading manufacturer and supplier of Cylinder Sleeve, which is made at manufacturer end using centrifugally casted, shell casted cast iron. Our service is suitable to attain maximum accuracy. Apart from this wide range of cylinder sleeves is available for different types of diesel engines, marine engines, tractor and automotive engines and there models. 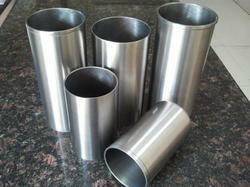 We provide best quality Cylinder Sleeve & Liners manufactured by "Centrifugal Cast Process". 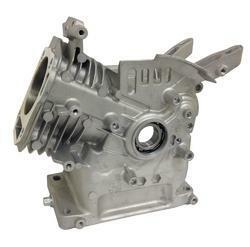 Used in internal combustion engine, these components have a close grained structure that ensures efficient cooling and long life. We offer two types of automotive cylinder sleeves, dry liner-sleeves and wet liner-sleeves that are known for having good casting and machining qualities. These are manufactured from grey cast iron and are known for their wear resistance, strength and durability. Our company offer a wide range of range of Crank Case which is made from superior quality of material. The cylinder body we offer is highly durable and available in various bore sizes. Our wide range of cylinder body is available in market at competitive prices. Looking for Cylinder Sleeve ?